United Metro Energy holds itself to the highest standards in serving your heating, cooling, fleet fueling, and wholesale needs. United Metro Energy's commitment to clean energy is unparalleled in the New York Metropolitan Area, in addition to providing you with competitive prices and reliable service. The National Biodiesel Accreditation Program is a cooperative and voluntary program for the accreditation of producers and marketers of biodiesel called BQ-9000®. The program is a combination of the ASTM standard for biodiesel and a quality systems program that includes storage, sampling, testing, blending, shipping, distribution, and fuel management practices. 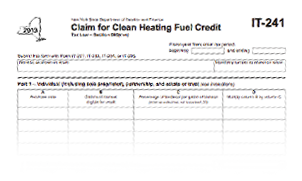 You Can Save $.20 per gallon off Heating Fuel This Year!